Former astronaut and McGill graduate Julie Payette assumed office as Canada’s 29th Governor General on October 2, 2017. Having now spent twice as long in office as she spent in space, Payette is beginning to define what will likely be a five-year term as Canada’s de-facto head of state. The modern office of the governor general has five main responsibilities, including constitutional duties and acting as commander-in-chief. While these are essentially spelled out step-by-step, the next three roles leave much more room for creativity and personality on the part of the individual assuming office. These three duties are to represent Canada, encourage excellence, and bring Canadians together. Beyond taking up the most time, these responsibilities make up the majority of the legacy that governors general leave behind. Payette’s performance across these three indicators provide insight into where she excels in her role as governor general, and where she needs some work. The first main role of vice-regal position is to represent Canada. This must be done abroad and at home. Payette has yet to represent Canadians on a foreign visit, but has excelled in her representation of Canada among foreign dignitaries. She has met with numerous Prime Ministers and ambassadors, strengthening Canada’s diplomatic ties. The minimal media coverage of these events points to their uneventful nature, which is a good sign. Unlike meetings between politicians, the aim is not to create political action, but simply to maintain ceremonial ties. A lack of media coverage beyond the occasional smiling photo means that Payette has successfully avoided scandals or drama, and is succeeding in this aspect of her role. Beyond foreign relations, the governor general must represent Canada domestically. This can be further divided into representing Canada’s regions, and representing Canadians demographically. In two short months, Payette has already visited multiple provinces and territories, including New Brunswick and the Northwest Territories. This demonstrates a clear commitment to regional representation, which Payette must continue to emphasize during her tenure. While clearly representing regions through her actions and her identity as part of the francophone minority in Canada, many had hoped that Trudeau’s appointment to governor general would finally elevate an Indigenous person to the nation’s highest office. With many disappointed in this appointment and the ongoing issues surrounding Indigenous affairs in Canada, it is more important than ever that Payette represent Indigenous communities tactfully, respectfully, and wholeheartedly. The governor general has yet to make any real strides in this realm, and should consider becoming more engaged with this issue that is increasingly at the forefront of Canadians’ minds. Even beyond Indigenous issues, Payette has not publicly participated in events that explicitly celebrate the cultural diversity of the country. As she moves forward in her term, attending events like citizenship ceremonies and advocating for the celebration of Canadians’ unique identities must move to the top of her agenda. The second main role of the governor general is to encourage excellence. This is most obviously done through the granting of awards, such as the medal of honour. Partly as virtue of her identity and former accomplishments, Payette takes this responsibility one step farther. Beyond rewarding excellence, Payette inspires it. Through personal anecdotes, public speeches, and visits with children and students, Payette encourages Canadians to excel. Rather than narrowly focussing on excellence in the sciences, as one might predict based on her background, Payette encourages a breadth of excellence, including in history, literature, and in character. Payette’s background and personality enable her to inspire ambition and excellence in a unique way that adds to the portfolio of governor general. Perhaps one of the roles most unique to the governor general is that of bringing Canadians together. The head of government can try to do this, but will always risk alienating those who differ in political ideology. As nonpartisan head of state, the governor general has the capacity to unite Canadians from all parties and of all identities to promote national identity. On Payette’s first day, she presented clear potential in uniting Canadians. Her installation speech spoke of the lack of borders from space, and how “we’re all on board the same planetary space ship.” She declared that “together we can move mountains”, and for the twenty minutes of her speech, the usually highly political Senate became a place of common ground for all Canadians. With allusions to her former experiences as an astronaut, Payette inserted just enough personality into her speech to make it unique and exciting, without making it political. Unfortunately for Payette, she was unable to maintain this momentum in the weeks after installation. 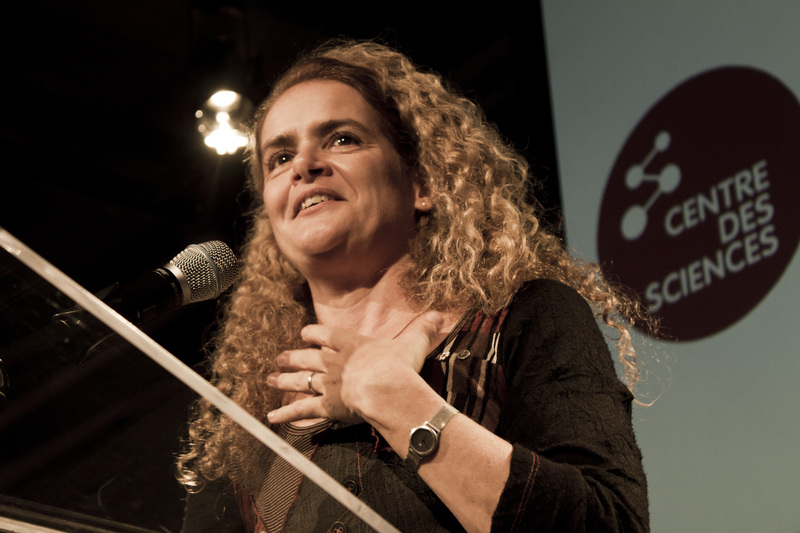 Payette faced controversy at an Ottawa science convention when she made remarks that were considered insensitive to Canadians with views differing from Payette’s. With a clearly incredulous and degrading tone, the governor general said she couldn’t believe that “we are still debating and still questioning whether life was a divine intervention”, and ridiculed those who debate whether humans have a role in climate change, as well as mocking those who follow horoscopes or who distrust modern medicine. While most Canadians embrace that climate change exists, it is not Payette’s role to assert this. When Payette was a scientist, this was by all means her role. If she were a politician, this could also be her place. But as a neutral, impartial, and external head of state who is expected to remain above politics, her condescending comments were unnecessary and inappropriate. The governor general faces the increasingly difficult responsibility of staying above politics in a world in which everything is political, but it is imperative that this remains a priority. Remaining neutral is a key prerequisite to fulfilling all other roles of the governor general, from representing all Canadians to forging international relationships. Perhaps the biggest issue in Payette’s speech wasn’t what she said, but how she said it. It would have been much more appropriate and have attracted much less criticism to say that we must work to protect our environment, or that we must continue to advance the health of Canadians. This would have transmitted the same message, without explicitly mocking and alienating those who don’t believe in climate change or who favour alternative medicine. Her speech could also be taken as an attack on some of the traditional healing practices used in Indigenous communities in Canada. Coupled with her lack of work on Indigenous issues and with Indigenous communities, this is a particularly damaging statement. While everyone has different beliefs on these key topics, being the governor general necessitates including and representing all Canadians, even those with whom she may fundamentally disagree with. Moving forward, Payette would do well to shift her strategy to representing general values that virtually all Canadians can latch onto in order to fulfill her responsibility of bringing Canadians together. If Julie Payette is anything like past governors general, she will begin to define a project for her next few years in office. Whether she chooses to promote education, gender equality, science, or something entirely different, her challenge will be finding a way to “say something without saying too much”. In her first few months in office, she has shown potential in representing Canada abroad and in representing regions at home, but must improve in her celebration of diverse cultures and histories, particularly of those indigenous to the land we call Canada. Her biggest success thus far has been in the realm of encouraging excellence, and this will likely continue to be a strength over the next five years of her expected mandate. While she showed potential during her installation speech, the area in which Payette has struggled most is in bringing Canadians together. This is a particularly important role of the governor general, and Payette must work to fulfill this role neither as a scientist nor as a politician, but rather as a neutral figure with which all Canadians can connect. While Payette should attempt to generate a unique vision for her tenure, she must remember that “the only thing worse than a boring governor general is a governor general who is too interesting”.